For a broader coverage related to ordination of women in Christianity, see Ordination of women § Christianity. The doctrine of the Catholic Church on ordination, as expressed in the current Code of Canon Law and the Catechism of the Catholic Church, is that "Only a baptized man (Latin: vir) validly receives sacred ordination." The Catholic Church teaches that this requirement is a matter of divine law and thus doctrinal. [Note 1] The question of whether only males can receive ordination to the diaconate has not been definitively ruled out by a document of the Magisterium (i.e., the pope, the Roman Curia, and the bishops), although it is considered that there is a fundamental unity between deacons, priests, and bishops in the single sacrament of Holy Orders, which is currently interpreted to mean that women cannot validly be ordained as deacons. Pope Francis, speaking of priestly ordination of women in February 2014, has stated that "with regards to the ordination of women, the church has spoken and says no ... That door is closed." There is, however, a minor order called the subdiaconate, and another, the instituted acolyte which is not part of Holy Orders, to which women might theoretically be admitted, though Pope Emeritus Benedict XVI issued a document, though one that can be changed, saying that those ministries, if they are going to be formally conferred and exercised on a long-term basis (as opposed to an altar server, who only fills in for them), should be reserved solely for men preparing for diaconal and priestly ordination. Some supporters of women's ordination have asserted that there have been ordained female priests and bishops in antiquity. The church's position is that, although "a few heretical sects in the first centuries, especially Gnostic ones, entrusted the exercise of the priestly ministry to women: this innovation was immediately noted and condemned by the Fathers who considered it as unacceptable in the Church." In response some supporters of women's ordination argue those sects were not heretical but orthodox. Pope Gelasius I apparently condemned the practice of women officiating at altars; inscriptions near Tropea in Calabria refer to "presbytera", which could be interpreted as a woman priest or as a wife of a male priest. Furthermore, a sarcophagus from Dalmatia is inscribed with the date 425 and records that a grave in the Salona burial-ground was bought from presbytera Flavia Vitalia: selling burial plots was at one time a duty of presbyters. There have been some 15 records so far found of women being ordained in antiquity by Christians; the church, as noted, states those ordinations were by heretical groups, while the Women's Ordination Conference contends those same groups were orthodox. There is also the church of Santa Praxedis, where "Theodora Episcopa"—episcopa is the word for "bishop" in feminine form—appears in an image with two female saints and Mary. Ecclesiastical tradition explains that Theodora was mother of Pope Paschal I, who built the church in her honour and graced her with the title Episcopa due to her being the mother of a Pope. 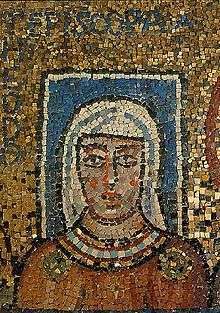 Dorothy Irvin has argued that Theodora was an unmarried woman, because she wears a coif in the image; this argument is inconclusive, however. Setting aside these theological considerations, advocates for the ordination of women have pointed to vocations declining in Europe and North America and have made the utilitarian argument that women must be ordained in order to have enough priests to administer the sacraments in those areas. Supporting this argument, they made public the story of a Czech woman Ludmila Javorová, who, in the 1990s, was with four or five other women ordained by the late Bishop Felix Maria Davídek in the 1970s, as priests in the underground Catholic Church in Czechoslovakia. There is at least one organization that calls itself "Roman Catholic" that ordains women at the present time, Roman Catholic Womenpriests; and several independent Catholic jurisdictions have been ordaining women in the United States since approximately the late 1990s. These organizations are independent of and unrecognised by the Roman Catholic Church. There are several others calling for the Roman Catholic Church itself to ordain women, such as St. Joan's International Alliance, Circles, Brothers and Sisters in Christ, Catholic Women's Ordination, and Corpus, along with others. Recently (April 19, 2009), Womenpriests elected four bishops to serve the United States: Joan Mary Clark Houk, Andrea Michele Johnson, Maria Regina Nicolosi, and Bridget Mary Meehan. The Vatican's Congregation for the Doctrine of the Faith issued a decree in 2008 declaring such "attempted ordinations" invalid and that, since Canons 1378 and 1443 apply to those who participate in these ordinations, all were excommunicated. Edward Peters, a doctor of canon law, explains that their excommunication results in virtue of a combination of other canons which arise from application of Canons 1378 and 1443. In response, Womenpriests said its members are "loyal member of the church who stand in the prophetic tradition of holy disobedience to an unjust law." It does not seem that the New Testament by itself alone will permit us to settle in a clear way and once and for all the problem of the possible accession of women to the presbyterate. In 1994, Pope John Paul II declared in his letter Ordinatio Sacerdotalis, stating: "Wherefore, in order that all doubt may be removed regarding a matter of great importance…I declare that the Church has no authority whatsoever to confer priestly ordination on women and that this judgment is to be definitively held by all the Church's faithful." In 1995, the Congregation for the Doctrine of the Faith explained that Ordinatio Sacerdotalis, though "itself not infallible, witnesses to the infallibility of the teaching of a doctrine already possessed by the Church. ... This doctrine belongs to the deposit of the faith of the Church. The definitive and infallible nature of this teaching of the Church did not arise with the publication of the Letter Ordinatio Sacerdotalis" but was "founded on the written Word of God, and from the beginning constantly preserved and applied in the tradition of the Church, it has been set forth infallibly by the ordinary and universal magisterium," and for these reasons it "requires definitive assent." The Church teaching on the restriction of its ordination to men is that masculinity was integral to the personhood of both Jesus and the men he called as apostles. 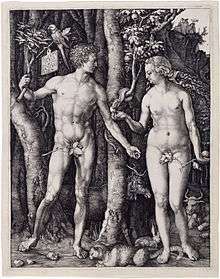 The Church sees maleness and femaleness as two different ways of expressing common humanity (essence). Pope John Paul II, in Ordinatio Sacerdotalis, explained the Roman Catholic understanding that the priesthood is a special role specially set out by Jesus when he chose twelve men out of his group of male and female followers. John Paul notes that Jesus chose the Twelve (cf. Mk 3:13–14; Jn 6:70) after a night in prayer (cf. Lk 6:12) and that the Apostles themselves were careful in the choice of their successors. The priesthood is "specifically and intimately associated in the mission of the Incarnate Word himself (cf. Mt 10:1, 7–8; 28:16–20; Mk 3:13–16; 16:14–15)." Pope Paul VI, quoted by Pope John Paul II in Ordinatio Sacerdotalis, wrote, "The Church holds that it is not admissible to ordain women to the priesthood, for very fundamental reasons. These reasons include: the example recorded in the Sacred Scriptures of Christ choosing his Apostles only from among men; the constant practice of the Church, which has imitated Christ in choosing only men; and her living teaching authority which has consistently held that the exclusion of women from the priesthood is in accordance with God's plan for his Church." John Paul did not mention the question of ordination of women to the diaconate in this document, and introducing women to the diaconate was expressly left aside in Declaration on the Question of the Admission of Women to the Ministerial Priesthood. The Vatican's Congregation for the Doctrine of the Faith issued and published on May 29, 2008, in the Vatican newspaper L'Osservatore Romano, a decree signed by Cardinal William Levada, on the existing ban on women priests by asserting that women "priests" and the bishops who ordain them would be automatically excommunicated "latae sententiae". Pope Francis said "that door is closed" regarding women's ordination, affirming the teachings of his two predecessors, Saint Pope John Paul II and Pope Emeritus Benedict XVI. He expanded on this in a November 2016 informal statement on the return flight from his papal visit to Sweden to commemorate the Reformation,: "On the ordination of women in the Catholic Church, the final word is clear, it was said by St. John Paul II and this remains." Pope Francis added that women are very important to the Church, specifically from a “Marian dimension. In Catholic ecclesiology there are two dimensions to think about,” he said. “The Petrine dimension, which is from the Apostle Peter, and the Apostolic College, which is the pastoral activity of the bishops, as well as the Marian dimension, which is the feminine dimension of the Church.” The Church is depicted as the bride of Christ, as a woman. Pope Francis has authorized a commission to see if women could be made deaconesses. The ordination of females to the diaconate is being discussed by some  Roman Catholic historians and theologians, including Pope Francis. There are two distinct but interrelated questions: whether some women in the early Church received true sacramental ordination, or whether all were merely called such for functional or honorific purposes; and, whether the prohibition against ordaining women to the diaconate is also a matter of unchangeable divine law, or potentially changeable ecclesiastical law. If some women did receive true sacramental ordination, then the current prohibition would be ecclesiastical rather than divine law. While both women and men were styled "deacon" in the early church, it can also be verified that the term "deaconess" was employed in late antiquity; the word, like "deacon", comes from the Greek word diakonos (διάκονος), meaning "one who serves" (literally, "one who runs through the dust" after his master). The earlier term for women who served in the Church was diakonos. The term "deaconess" was often used to refer to women who assisted the priest in receiving women into the Church for baptism by full immersion (which is still practiced by the Eastern Catholic Churches and by some parishes in the Western or Latin Church as well). These women also ministered to sick women and often served in similar positions to male deacons. Male deacons did not anoint the sick. The only woman in Scripture called a deacon is Phoebe (Acts 16:1). Further historical evidence points to women serving in many areas of the Church in the West as well as in the East. Monastic women deacons in the East received the stole as a symbol of their office at ordination, which took place inside the sanctuary. Historical-theological work by K. K. Fitzgerald, Phyllis Zagano, and Gary Macy argue for the sacramental ordination of women as deacons. A significant contribution on this aspect was made by a future cardinal, Jean Daniélou, in an article in La Maison-Dieu in 1960 (translated into English as "The Ministry of Women in the Early Church" by Glyn Simon, Anglican Bishop of Llandaff). The Congregation for the Doctrine of the Faith wrote in 1977 that the possibility of ordaining women as deacons was "a question that must be taken up fully by direct study of the texts, without preconceived ideas." The opinion that women received sacramental ordination (in certain times and places) is given by Roger Gryson. In response, Aimé Georges Martimort contends they did not. Both Gryson and Martimort argue from the same historical evidence, and Martimort agrees the matter is not settled. For example, the ecumenical First Council of Nicaea (325) stated that deaconesses "do not receive any imposition of hands, so that they are in all respects to be numbered among the laity." However, 126 years later, the ecumenical Council of Chalcedon (451) decreed "A woman shall not receive the laying on of hands as a deaconess under forty years of age, and then only after searching examination." Gryson argues that the use of the verb cheirotonein and of the substantive cheirothesia clearly indicate that women deacons were ordained by the laying on of hands. Martimort argues that the "laying on of hands" refers only to a special blessing, although cheirotonein is clearly used with an invocation of the Holy Spirit. Women deacons ceased to function in the West in the 13th century, although women deacons are still ordained in some churches of Orthodoxy. Until recently, Catholic theologians and canonists almost unanimously considered the exclusion of women from ordination, including to the diaconate, as having a divine origin and therefore remaining absolute. Only in recent decades have any theologians or canonists entertained the theory that the prohibition of women from the ordained diaconate was a matter of merely ecclesiastical rather than divine law. This renewed theological assessment was spurred on by the Second Vatican Council's revival of the permanent diaconate, which lifted the question from a purely theoretical matter to one with immensely practical consequences. Based on the theory that women deacons received the sacrament of Holy Orders, there have been modern-day proposals to ordain female permanent deacons, who would perform the same functions as male deacons and be like them in every respect. In 2003, Father Ronald G. Roberson, a staff member of the U.S. Conference of Catholic Bishops, stated in a presentation on the diaconate in the Latin Church to annual meeting of the U.S. Oriental Orthodox-Roman Catholic Consultation: "The possibility of ordaining women to the diaconate is still an unsettled question in the Catholic Church. Latin rituals for ordaining deaconesses exist from as late as the 10th century, but the precise sacramental nature of these ordinations has not yet been determined authoritatively. There are recent indications that the Holy See intends to continue the exclusion of women from this office." In May 2016, Pope Francis said he would create a commission to study women deacons in the early church, to help answer the question of whether women could also serve as deacons today. The Commission, established on August 2, 2016, includes twelve scholars and is under the presidency of Archbishop Luis Ladaria Ferrer, Secretary of the International Theological Commission. No date has been set for Commission meetings. The Roman Catholic Church states that the hierarchical structure that includes the ordained ministerial priesthood is ordered to benefit the holiness of the entire body of the faithful, and not to ensure the salvation of the ordained minister. In Mulieris dignitatem, Pope John Paul II advocated for Christian complementarianism, writing: "In calling only men as his Apostles, Christ acted in a completely free and sovereign manner. In doing so, he exercised the same freedom with which, in all his behavior, he emphasized the dignity and the vocation of women, without conforming to the prevailing customs and to the traditions sanctioned by the legislation of the time." In Ordinatio Sacerdotalis, John Paul II wrote: "the fact that the Blessed Virgin Mary, Mother of God and Mother of the Church, received neither the mission proper to the Apostles nor the ministerial priesthood clearly shows that the non-admission of women to priestly ordination cannot mean that women are of lesser dignity, nor can it be construed as discrimination against them. Rather, it is to be seen as the faithful observance of a plan to be ascribed to the wisdom of the Lord of the universe." The Roman Catholic Church does not regard the priest as the only possible prayer leader, and prayer may be led by a woman. For example, outside the context of a Mass and in the absence of a priest or deacon, lay people (both men and women) "are to be entrusted with the care of these [Sunday] celebrations." This includes leading the prayers, ministry of the word, and the giving of holy communion (previously consecrated by a priest). Also during these assemblies, in the absence of an ordained minister, a layperson may request God's blessing on the congregation, provided that the layperson does not use words proper to a priest or deacon, and omits rites that are too readily associated with the Mass. Women are also able to live the consecrated life as a nun, and throughout the history of the Church it has not been uncommon for an abbess to head a dual monastery, i.e., a community of men and women. Women today exercise many roles in the Church that they were previously not able to participate in. They can run catechetical programs in parishes, do spiritual direction, serve as readers and Extraordinary Ministers of Holy Communion, and teach theology. Also, in 1994, the Vatican Congregation for Divine Worship and the Discipline of the Sacraments decided that women could assist at mass as altar servers. Still many people see the Church's position on the ordination of women as a sign that women are not equal to men in the Catholic Church, though the Church rejects this inference. There is a fundamental unity between deacon, priest, and bishop in the single sacrament of Holy Orders, as taught by the Second Vatican Council. Whatever argument is used in favor of the priestly ordination of women, there is the problem of reconciling this position with Ordinatio Sacerdotalis (1994). The Congregation for the Doctrine of the Faith has stated that Ordinatio Sacerdotalis, while not ex cathedra,[Note 3] authoritatively and bindingly teaches that: (1) the Church cannot ordain women as priests due to divine law; and that (2) this doctrine has been set forth infallibly by the ordinary and universal magisterium. According to section 25 of the Second Vatican Council's Dogmatic Constitution on the Church, Lumen gentium, the "ordinary and universal magisterium" is exercised by "the Pope in union with the bishops". In other words, according to the Congregation, it is an instance of the Pope "publicising" what he and the other bishops, as the ordinary and universal magisterium' have already consistently taught through the ages. Since the encyclical Humani Generis, it is well known that the Roman Pontiff can, by his own authority, settle a theological question via a fallible papal teaching that is nonetheless sufficiently authoritative to end all debate on the matter. This is what has occurred with Ordinatio Sacerdotalis in regard to point (1), according to the Congregation for the Doctrine of the Faith. [Note 4] Thus, theological debate on whether women can be ordained as priests is no longer seen by the Church as permitted for Catholics, and the arguments in favor of ordaining women to the priesthood in this section are termed a "dissenting position" and qualifies, under the Catechism's definition, as heresy. Some theologians have questioned how this debate-ending authority can apply to point (2), which they contend is a matter not of faith or morals, but a factual matter relative to teachings promulgated by all the bishops of the Catholic Church over its two thousand year history. These theologians argue that Ordinatio Sacerdotalis does not provide historical facts sufficient to ensure infallibility by the ordinary and universal Magisterium, nor any indication of how those historical facts were verified. Because of these issues it is argued that, if it is indeed possible for the Church to ordain women to the priesthood, this would not contradict the Church's dogma regarding infallible teachings. Some Catholic scholars (for example, John Wijngaards, Robert W. Hovda, Robert J. Karris and Damien Casey) have written in favor of ordaining women. Furthermore, 12 groups have been founded throughout the world advocating for women's ordination in the Catholic Church. Women's Ordination Worldwide, founded in 1996 in Austria, is a network of national and international groups whose primary mission is the admission of Roman Catholic women to all ordained ministries, including Catholic Women's Ordination (founded in March 1993 in the United Kingdom), Roman Catholic Womenpriests (founded in 2002 in America), Women's Ordination Conference (founded in 1975 in America) and others. The first recorded Catholic organization advocating for women's ordination was St. Joan's Alliance, founded in 1911 in London. Since 2002 Roman Catholic Womenpriests has ordained women as deacons, priests and bishops, claiming that these ordinations are valid because the first ordinations were done by a validly ordained Catholic male bishop (Romulo Antonio Braschi, who left the Roman Catholic Church in 1975) and therefore they are in the line of apostolic succession. However, these ordinations have been rejected by the Catholic Church and considered invalid and all those involved have been excommunicated. In 2014 the Bishop of Basel, Felix Gmür, allowed the Basel Catholic church corporations, which are officially only responsible for church finances, to formulate an initiative appealing for equality between men and women in ordination to the priesthood. Also in 2014, the Association of Catholic Priests in Ireland stated that the Catholic church must ordain women and allow priests to marry in order to survive. Other notable dissenters on the subject of women's ordination are the Austrian-based Call to Disobedience, also as of 2013 a minority in the American "Association of U.S. Catholic Priests" favor ordaining woman as priests and the majority of that organisation favour allowing woman deacons. Pope Francis' cop-out rationale illustrates a very selective theology: to blame a previous pope for his stance on women priests, and then in the very same interview contradict his predecessors by acknowledging an open understanding for gay priests. ... He could have quoted the Vatican's own the [sic] Pontifical Biblical Commission that concluded in 1976 that there is no valid scriptural or theological reason for denying ordination to women. Catholic nuns were major participants in the first and second meetings of the Women's Ordination Conference. In 1979, Sister Theresa Kane, then the president of the Leadership Council of Women Religious, spoke from the podium at Washington, DC's Shrine of the Immaculate Conception, and asked Pope John Paul II to include women "in all ministries of our Church." In the audience were nearly fifty sisters wearing blue armbands, symbolizing women's ordination. Pew Research has demonstrated that among American Catholics, 58 percent think the church should ordain women. A "History of the women's ordination movement in the U.S. Roman Catholic church" has been recently published, summarizing the efforts of those in the USA to have women ordained in the Roman Catholic Church. Mulieris dignitatem, an 1988 apostolic letter by Pope John Paul II. ↑ "The Catholic Church has never felt that priestly or episcopal ordination can be validly conferred on women"
↑ "This language comes very close to that of a solemn definition, but we are assured by Cardinal Ratzinger that it was not the intention of John Paul II to speak ex cathedra,"
↑ "The language used by Pope John Paul II in his 1994 apostolic letter Ordinatio Sacerdotalis would clearly fulfill, or even surpass, the conditions mentioned by Pius XII,"
↑ Canonical Implications of Ordaining Women to the Permanent Diaconate, Canon Law Society of America, 1995. ↑ Commentary by the Sacred Congregation for the Doctrine of the Faith on the Declaration Inter Insigniores. ↑ Russell, Jim (12 May 2016). "What Should I Know About Pope Francis and 'Women Deacons'?". Catholic Answers. Retrieved 15 May 2016. ↑ Turris Fortis: When Women Were What? ↑ Roman Catholic Womenpriests :: Welcome! ↑ editors, "In the Beginning," National Catholic Reporter May 1, 2009, 4. ↑ The Congregation of the Doctrine of the Faith, Response of 25 October 1995 c.f. Lumen gentium 25:2. ↑ Catechism of the Catholic Church 355, 383, 369–72, 1605, 2333. ↑ The Ministry of Women in the Early Church, Collegeville, MN, Liturgical Press, 1976. ↑ Deaconesses: An Historical Study, translated by K. D. Whitehead, San Francisco, Ignatius Press, 1986. ↑ The Canonical Implications of Ordaining Women to the Permanent Diaconate, Canon Law Society of America, 1995, p. 19. 1 2 The Canonical Implications of Ordaining Women to the Permanent Diaconate, Canon Law Society of America, 1995. 1 2 The Congregation for Divine Worship: Directory for Sunday Celebrations in the Absence of a Priest chapter 2, paragraph 30. ↑ The Congregation for Divine Worship: Directory for Sunday Celebrations in the Absence of a Priest chapter 3, paragraph 39. ↑ Rausch, Thomas P. Catholicism in the Third Millennium. Collegeville, Minnesota: The Liturgical Press, 2003. 1 2 3 Creative Fidelity: Weighing and Interpreting the Documents of the Magisterium, by Francis A. Sullivan, p. 22. ↑ "Theologians Assess Ordinatio Sacerdotalis"
↑ "Women Can Be Priests". Womenpriests.org. Retrieved 2010-11-19. ↑ "Women's Ordination Worldwide". Womensordinationworldwide.org. 2009-05-17. Retrieved 2010-11-19. ↑ "Catholic Women's Ordination". Catholic-womens-ordination.org.uk. 1998-04-28. Retrieved 2010-11-19. ↑ Abramczyk, Donna (2010-03-01). "Woman says she was called to become a Catholic priest". Thenewsherald.com. Retrieved 2013-11-12. ↑ "Women Religious Break the Silence on Women's Ordination with Roy Bourgeois". Womensordination.org. 2008-12-12. Retrieved 2010-11-19. ↑ Incompatible with God's Design: A History of the Women's Ordination Movement ... - Mary Jeremy Daigler - Google Books. Books.google.com. 1973-12-01. ISBN 9780810884809. Retrieved 2013-10-28. 1 2 3 "I will disobey this unjust law". Salon.com. 2006-07-31. Retrieved 2010-11-19. ↑ Yates, Jennifer C. (2006-07-31). "Excommunication looms over female ordination". Boston.com. Retrieved 2010-11-19. ↑ Hanna, Erin Saiz (Executive Director). "Pope Francis slams door on women's ordination", Women's Ordination Conference. 29 July 2013. Accessed 2 Jan 2014. ↑ Daigler, Mary Jeremy. 2015. Incompatible with God's design: History of the women's ordination movement in the U.S. Roman Catholic church. Lanham, MD: Rowman & Littlefield.